As with Jerome Powell’s previous appearance before Congress, discussed here, all eyes were on the Fed chairman as he testified today in front of the Senate Banking Committee. In his prepared remarks, he reiterated the emphasis on core inflation, which “excludes energy and food prices and generally is a better indicator of future overall inflation”, citing the most recent Core PCE of 2 percent. However, the price indicators we mentioned in the post-script of last week’s TFTD came in comparatively sanguine. 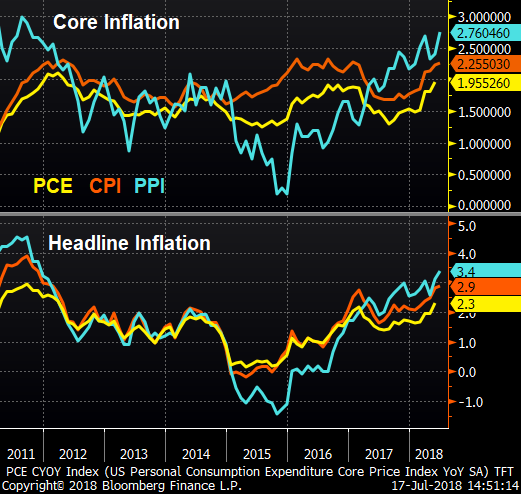 Core PPI beat with a reading of 2.8% and Core CPI came in above the Fed-mandated two percent at 2.3% YoY. Headline PPI also beat expectations, printing 3.4% while a 2.8% reading on Headline CPI was in line with surveys. “the amount they got in tax savings has been gobbled up in the ... first two, ... three months of the fiscal year”. 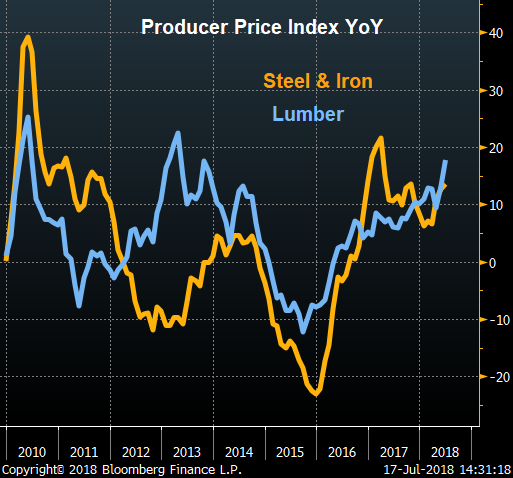 An article from HousingWire found that the increasing price of supplies due to tariffs have caused newly constructed home prices to jump an average of $9,000. 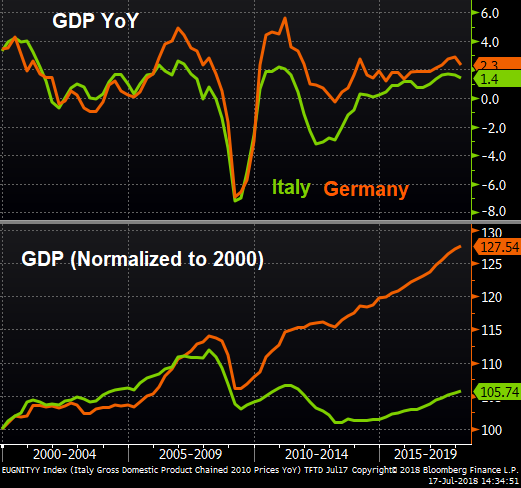 Finally, an alternative currency for Italy is back in the news with members of the “Group of Fiscal Money” writing an article highlighting how a dual-currency scheme using “Fiscal Money”, aka transferable tax rebates, could increase domestic demand, improve enterprise competitiveness, and close Italy’s output gap, all “without affecting the country’s external balance.” While the authors point out that “Fiscal Money” is not the philosopher’s stone, they argue that “[t]he downside is nearly nil.” Time will tell if Brussels agrees with this analysis.